Our hearts are a factory. They can either be factories for good, or factories for evil. 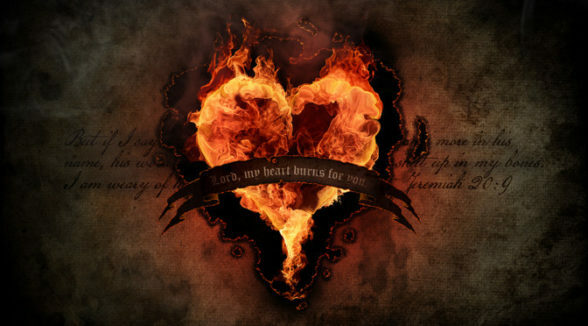 In fact God says that we are born with evil hearts, because of Adam’s sin, and that they only produce evil. Thankfully that wasn’t His plan for us, so He made a wonderful way for us to be like Him. His heart is LOVE. If we love Him and see our need for His saving grace He takes out our hearts and simply replaces it. A huge deal to us, but no biggie to Him, He was the first heart surgeon. There are a few places in the Bible that talks about Him giving us a new heart, but this one scripture in Ezekiel specifies that this new heart is “undivided”. It serves one master, it has one nature, and it isn’t schizophrenic. These new hearts have the ability to love like God, to live like Jesus, and to beat to a new drummer. David in the Old Testament realized the importance of a right heart; we see it in several places. One of the few things Jesus railed about was the condition of the hearts of the religious leaders during His time with us. Out of the abundance of the heart, our mouths speak. We say what is brewing up in there. We produce whatever we have laid on the assembly line. They have the power to be a factory for good it’s our choice. After He puts that new heart in there, think of it as a brand new crock pot, we decide what goes in. If we keep the lid on nothing will get in that isn’t supposed to (guard your heart and mind, God tells us). So if the finished meal tastes like… manure, you have to ask yourself, “What did I put in there?” Got it? It isn’t going to produce anything if we aren’t putting something inside, it will produce garbage, yuk, stink, etc, if we aren’t putting in good wholesome things. If our hearts are a factory, think of your eyes, your ears, your brain, as the source of the materials you will be building with. You can build with quality building materials (precious stones), or poor materials (wood, hay, and stubble). You choose. They can produce bitterness, angry, perversion, murder, and everything ugly from the pits of hell. What are you producing in your factory?